Watch these videos & get your team involved! 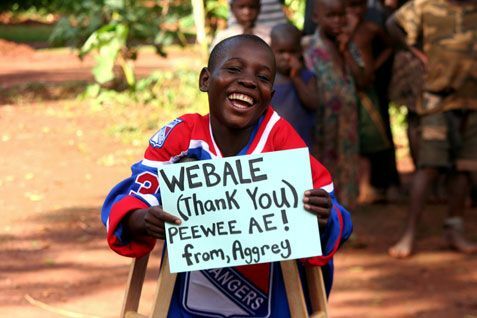 During the 2014-2015 season, the AAA Oakville Rangers started the 18th Man Project. 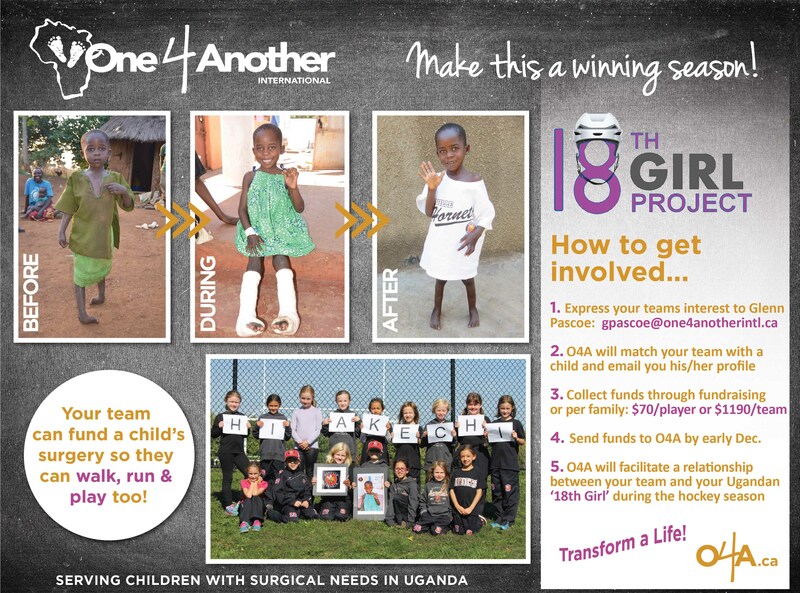 Wanting to create a lasting impact on the life of someone in need, they partnered with One4Another International, and the team funded a life-saving surgery for a boy named Michael from Uganda. 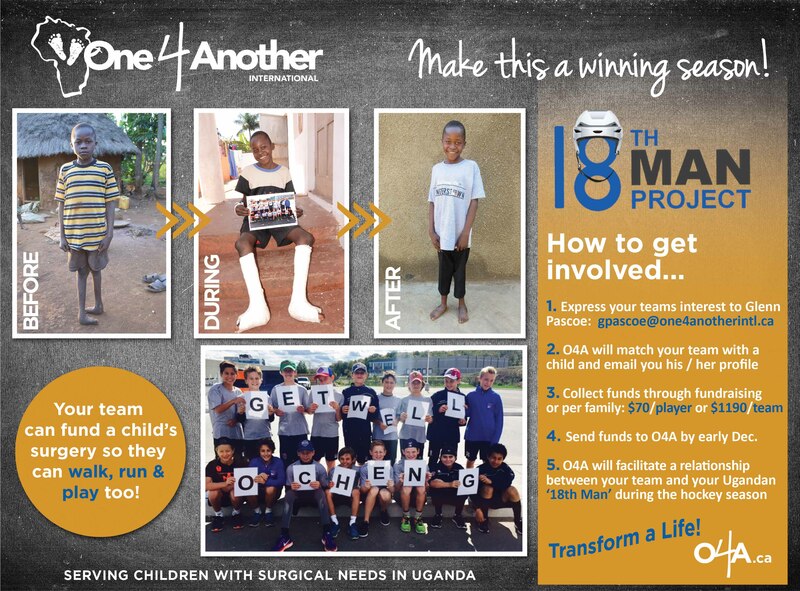 Since then, dozens of both boys and girls teams from Oakville, Guelph, Waterloo, Quinte, York Mills, and South Delta (BC) have joined the 18th Man Project, and have taken on a Ugandan child in need of surgery as the 18th player on their roster. You can sign up with us to have your team (any sport) or group (great to do with youth groups, classes, coworkers, etc.) get matched with a child and we'll facilitate the relationship between your team / group and a child in need. Download these graphics and use them to get your team engaged!